Topics: This lab focuses on research in neuropsychology and clinical assessment. Current research topics include the influence of chronic marijuana use on cognition, the neuropsychological effects of sport-related concussion, and factors that influence the valid and reliable neuropsychological assessment of patients. Dr. Hirst’s research has focused on factors that can impact the legitimacy of clinical neuropsychological assessment, such as the examinee’s motivation to perform well; she has identified motivational statements that can enhance cognitive performance in chronic marijuana users. Her research also identified that most people can guess, at levels significantly greater than chance, whether a photograph is of a cannabis user or a non-user, simply based on appearance – a phenomenon she refers to as the “jay-dar”. As Dr. Hirst is interested in all topics related to neuropsychological performance (e.g., memory impairment, executive dysfunction), as well as the clinical process of neuropsychological assessment (e.g., standards of practice in using validity testing during assessment), she is also open to exploring diverse research ideas with students in her research lab. 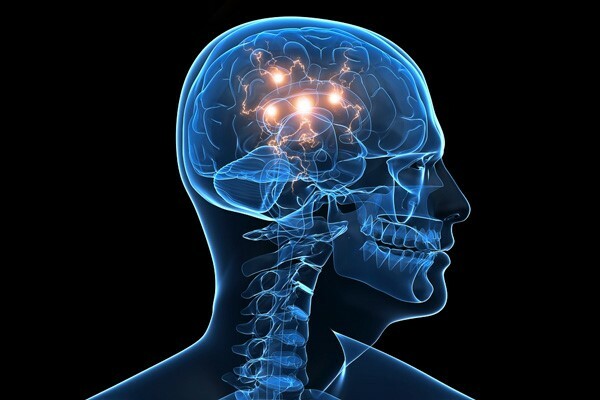 These research projects allow students to gain a significant amount of neuropsychological assessment experience and training hours, as well as develop research skills in writing literature reviews, designing a study, recruiting subjects and administering tests, entering data, conducting statistical analyses, presenting at professional conferences, and writing manuscripts. Students will be encouraged to conduct their own research projects and compete for student awards and grants. Co- and first-authorship on manuscripts is encouraged. This training is aimed to help students become a more independent researcher, with the goal of conducting original research and data collection for their dissertation projects. Openings: 3 new members to join the lab annually. Notification: Students accepted into the group will be notified by email at the PAU Research Lab Notification date and time. Katrina Colby (kcolby@paloaltou.edu) – Katrina is a 6th-year Clinical Psychology Ph.D. student at PAU and has completed the Neuropsychology area of emphasis. Her primary area of research integrates neuropsychological and forensic assessment in individuals’ with Neurodevelopmental Disorders. She has published research on the assessment of executive functioning in eating disorders and hopes to expand this research to other rehabilitation- centered populations in the future. Katrina has worked with diverse populations of children, adolescents, adults, and elderly adults, in inpatient rehabilitation, residential, correctional, and outpatient settings. Most recently, her clinical training provided her with the opportunity to conduct modified assessments and provide short-term therapy to patients with catastrophic medical injuries, sensory loss, and psychiatric disorders. Currently, she is completing her dissertation which examines the assessment of competence to stand trial based-skills, and effort or response bias, in criminal defendants with Neurodevelopmental Disorders. In the future, she aspires to complete her postdoctoral fellowship in Neuropsychology and work as part of a treatment team in an inpatient rehabilitation or correctional setting. Alexis Rosen (arosen@paloaltou.edu) – Alexis is a sixth-year Clinical Psychology PhD student at PAU and has completed the Neuropsychology Area of Emphasis. Her primary area of research involves the effects of chronic cannabis use on cognitive functioning. She is also interested in validity testing and has investigated validity testing practices among a sample of national and international neuropsychologists. Currently, she is collecting data for her dissertation, which is situated at the intersection of neuropsychology and legal psychology. Alexis is concurrently completing her internship at the Memphis VA Medical Center in the Neuropsychology Major Area of Study. More recently, she has applied for a two-year postdoctoral fellowship, consistent with the Houston Conference Guidelines for specialty training in Clinical Neuropsychology. Casey Conaboy (cconaboy@paloaltou.edu) Casey is a fifth-year student in the Clinical Psychology PhD program at PAU and has completed the Neuropsychology Area of Emphasis. Casey is primarily involved in the Sport Concussion Study and is interested in the influence that different identities (e.g., socioeconomic status) may have on risk levels regarding concussion and recovery. Colin Brown (cbrown1@paloaltou.edu) Colin is a fourth-year student in the neuropsychology emphasis. He is interested in working with active military personnel, veterans, athletes, and individuals who have sustained traumatic brain injuries. Colin is currently working on a project examining parents’ and coaches’ knowledge and attitudes pertaining to sport related concussions. Rachel Santiago (rsantiago@paloaltou.edu) - Rachel is a fourth-year student in the neuropsychology emphasis. She is interested in working with the older adult population, Veterans, and individuals with brain injuries. Rachel is primarily involved in the Sport Concussion study and is currently working on a case study manuscript examining cognitive performance subsequent to multiple concussions. Jessica Watson (jwatson@paloaltou.edu) - Jessica is currently a fourth-year Clinical Psychology PhD student and has completed the Neuropsychology area of emphasis. She has published research on examiner expectancy effects. Her current research involves the lab’s pediatric sport concussion program, examining the frequency of “abnormal” (i.e., low) scores in baseline tests of healthy youth to differentiate between statistical and clinical significance. Her research also assesses parents’ and coaches’ knowledge and attitudes of sport related concussion management. She is working towards her dissertation, a survey of neuropsychologists, to assess the level of consensus within the field regarding which qualitative descriptors are used to classify a test score. Jessica has represented the lab both in the US and abroad. In 2018, she was awarded the Edith Kaplan Scholarship, presented by The National Academy of Neuropsychology’s Women in Leadership Committee. Dylan Vaughn (dvaughn@paloaltou.edu) – Dylan graduated from Pacific University with a Bachelors of Science in Psychology with an emphasis in neuroscience. He is a fourth-year PhD student pursuing an emphasis in neuropsychology. Currently, he is working on two projects within the BRAIN Lab: the neurocognitive effects of cannabis use and the long-term effects of sport-related concussions in child/adolescent populations. He has published research on expectancy effects as it relates to performance on neuropsychological evaluations in cannabis users, methodological implications and sampling bias in cannabis research, neuropsychologists ability to discriminate cannabis users versus non-users, and plans to continue this line of research as well as other topics related to cannabis use in general. In addition, he is working on publishing a case study examining the neurocognitive effects of sustaining multiple concussions for a pediatric football player. Currently, he is working on his dissertation examining the role of gender on neurocognitive performance in cannabis users..
Naomi Kaswan (nkaswan@paloaltou.edu) - Naomi graduated from the University of California, Santa Barbara with a Bachelors of Science in Biopsychology, and a minor in Applied Psychology. She is currently a second-year PhD student pursuing an emphasis in neuropsychology. Naomi’s interests include neuropsychological assessment and treatment trajectories in children with a variety of neurological presentations and brain injuries. Naomi is currently involved with both the sports concussion and cannabis research produced by the BRAIN Lab. Her most recent work has been focused on embedded measures of effort in a youth sports concussion population and functional marijuana use. Felipe Granados (fgranados@paloaltou.edu) - Felipe graduated from California State University, Stanislaus, with a Bachelor of Arts in Psychology. He is currently a third-year PhD student pursuing an emphasis in neuropsychology. Currently as part of the BRAIN lab, Felipe is working on posters from a successful cannabis use database. For his dissertation, Felipe will be looking at data collected from Latinx participants in the youth sport concussion study. Additionally, he has also reviewed manuscripts submitted for peer review before publication. Ultimately, Felipe is interested in being a bilingual, Spanish-speaking clinical neuropsychologist, working with elderly Latinx patients suffering from neurodegenerative disorders. Ryan Thompson (rthompson@paloaltou.edu) - Ryan graduated from The College of William & Mary with a Master of Education in Counseling and Wake Forest University with Bachelor of Arts in Anthropology. He is a second-year PhD student in Clinical Psychology, specializing in Neuropsychology. Currently, he is working on two projects with the BRAIN Lab: the long-term neurocognitive effects of sport-related concussion in children and adolescents as well as the neurocognitive effects of chronic cannabis use in adults. He has presented research on expectancy effects related to neurocognitive performance in chronic cannabis users as well as the effect of early-onset use. Additionally, he is working on a project focused on characterizing abnormal neurocognitive performance in baseline evaluations of non-concussed youth athletes. He plans to research the effects of traumatic brain injury across the lifespan. Jennifer Adler (jadler@paloaltou.edu) - Jen graduated from University of Arizona with a Bachelor’s of Arts in Psychology and a double minor in Sociology and Health. She is currently a second-year Clinical Psychology PhD student with an emphasis in Neuropsychology. Jen is interested in working with athletes, specifically youth athletes and college athletes, and individuals who have sustained traumatic brain injuries, specifically focusing on the cognitive effects as well as behavioral effects (depression and anxiety). Jen is also interested in neurodegenerative disease in older adults and neuropsychological assessment. She is currently working on a project evaluating embedded effort measures within the sport concussion neuropsychological battery to test for participants giving adequate effort and her primary focus is on the lab’s pediatric sport concussion study. Jen is also working on a manuscript exploring the connection between treating patients with eating disorders and professionals’ current eating behaviors and the role that resilience and executive function may play in the relationship. Sana Arastu (sarastu@paloaltou.edu) - Sana graduated from University of California, Santa Cruz in 2016 with a Bachelors of Science in Cognitive Science and a Bachelors of Arts in Psychology. She is currently a second-year clinical psychology PhD student at Palo Alto University with an emphasis on neuropsychology. Sana is primarily involved in the cannabis use studies at the BRAIN lab, studying the neurocognitive effects of cannabis use. Sana's other research interests include studying how cultural factors, such as ethnicity, gender, and socioeconomic background, may relate to neuropsychological performances in minority and underserved populations. Sue Markuson (smarkuson@paloaltou.edu) - Sara graduated from the University of Montana, Missoula, Montana with a Bachelor of Science degree in Psychology- Research Emphasis and in Communicative Sciences and Disorders. She is currently a second-year Ph.D. student pursuing an emphasis in Neuropsychology. Sara works on both the neurocognitive effects of cannabis use study and the lab’s pediatric sport concussion study. Richard Enriquez (renriquez@paloaltou.edu) - Richard completed the Diversity and Community Mental Health emphasis at Palo Alto University and obtained his doctorate in Clinical Psychology. He completed his predoctoral internship at San Jose State University and is now a postdoctoral resident at University of California Santa Cruz. Richard’s clinical interests are in working with diverse populations, college setting, and with mood disorders, anxiety disorders, and substance use and abuse. His research interests include investigating raters’ accuracy to assess cannabis use status, observer-expectancy effects in cannabis user population, and protective factors related to the initiation and problematic use of cannabis. Cecilia Han (shan@paloaltou.edu) - Ceci is a sixth-year student originally from Macau. She is currently completing her predoctoral internship at NYU Rusk Rehabilitation. Her clinical interests include adult neuropsychology and rehabilitation psychology. She has been a research assistant at the BRAIN lab since 2013. Her language proficiency includes English, Mandarin, and Cantonese. Her involvement in the BRAIN lab includes studies regarding neuropsychological evaluation among adult substance users, as well as test motivation and effort evaluation in neuropsychological assessments. Anna Teague (ateague@paloaltou.edu) - Anna Teague, Ph.D. (ateague@paloaltou.edu) Anna is a Postdoctoral Fellow in Clinical Neuropsychology at the University of Virginia Health System and Western State Hospital. Julie Gretler (jgretler@paloaltou.edu) - Julie completed her predoctoral internship at the University of Missouri. Her clinical interests include neurorehabilitation and neuropsychological assessment across the life span. Her BRAIN lab involvement includes studies related to performance validity testing, chronic marijuana use, and cognition. Louise Sodos, Ph.D. (lsodos@paloaltou.edu) - Louise graduated from PAU in 2016. Her dissertation was “Enhancement of Cognitive Performance in Chronic Cannabis Users: Temporary versus Isolated Effects of a Motivational Statement.” She completed her pre-doctoral internship and post-doctoral fellowship in clinical/military psychology at Brooke Army Medical Center (BAMC). She is now an active duty U.S. Army licensed clinical psychologist.